Create your own personal guides for Panama by clicking the icon in the top right corner. Casa Jaguar GastroPub, located in the old city of Panama is the best choice to enjoy dishes that combine elements of international cuisine adapted to the local cuisine, accompanied by a wide range of cocktails, drinks and excellent wines. 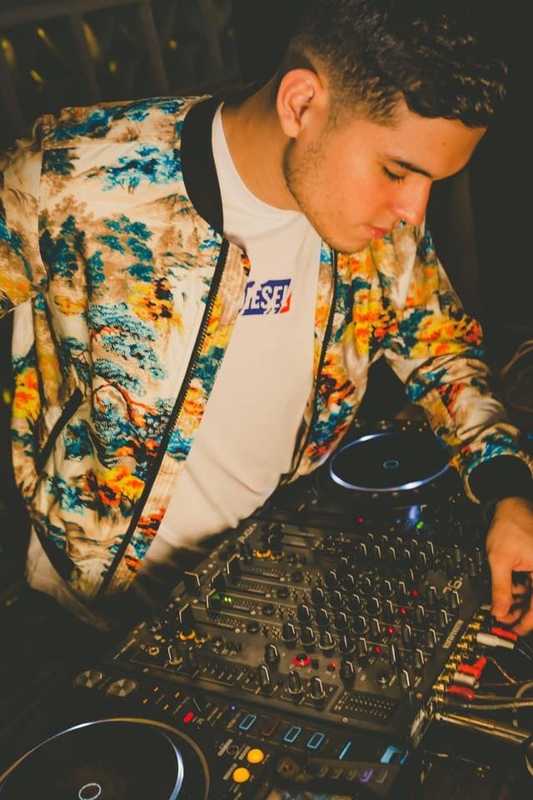 A different experience that unfolds in environments raging from the modern main hall to private outdoor spaces, with countless details that combine the arts and the current trends, where music is the element that will make you want to relive the experience of Jaguar Hull. Casa Jaguar it’s not about selling good or drinks, it’s about creating concepts and unforgettable experiences. Aimed towards people who appreciate the value of good time, art, and modernity. 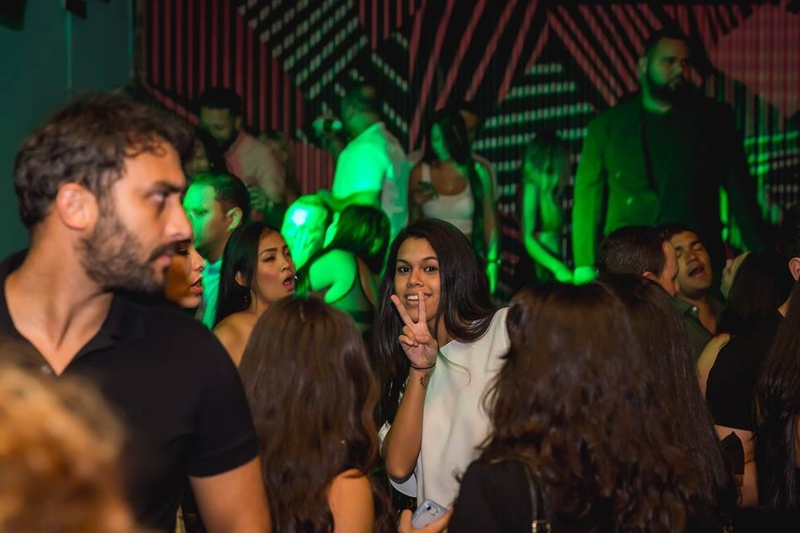 An alternate place that let’s you discover the busiest and wildest party in town. If you are a business in Panama and have an event to promote you can do it on My Guide at no cost. Login to create your guides for Panama. This guide has been created by a Panama Local Expert. Cebaco Island has 8,500 hectares with a population of approximately 650 people. Most of the inhabitants are native fishermen, humble and hardworking. Isla Cebaco offers a phenomenal setting for diving, snorkeling and other water sports. In the mountains of the island, you can find a great abundance of fruit, exotic wood trees, and fresh water from the mountains. You can see both sides of the island from the top of the mountain. Isla Cebaco is located in the district of Montijo, province of Veraguas. You can leave Puerto Mutis, 25 minutes from Santiago (the main city of Veraguas) and 4 hours from Panama City. The distance from the port to the island is relatively short, depending on the speed of the boat. The island is approximately 30 to 40 kilometers from Puerto Mutis. Hidden beaches, crystal clear waters, white sands and thick jungle make this destination an earthly paradise. There lives a gnabe community and animals as wonderful as the lazy pygmy and the red frog. For some, this could be the most beautiful island of our country. The assertion may seem daring, but certainly Escudo de Veraguas is a magical place for tourists. It is within the Ngabe Bugle comarca and for now it is forbidden to build on it. This is the most oceanic island around Bocas del Toro and it is just outside the tourist route, in the Gulf of the Mosquitos. Bidub, name that was born in the month of January 2019, granted by the General Guna Congress, and managed by it, Bidirdub, was its name, a good place to escape from the world: you will feel peace and tranquility take over your senses. Share with nature in a corner away from the daily bustle. It is the perfect place for snorkel lovers. The largest island in the Gulf of Carti. Located a few minutes from the Dutch Cays. To walk around the island and back will take approximately 1 hour to reach the exit. Habitat of the starfishes, one of the most famous animals of the sea and sought after by many to take photos of remembrance with brilliant red colors, sparks of orange and maroon: you can even find greenish colors. Cabins Senidub - It offers 4 private cabins and 4 shared cabins with capacity for 6 to 12 people with single beds 3/4. It has its Restaurant - Bar, and in the evenings it will share table games with its companions and relatives or just make new friends. Fun and entertainment. If someone comes to lazotea is to have fun, to eat well, have a few drinks, dance and enjoy the view. However.. Given that Panama City, Panama is blessed with year-round warm weather, what better way to enjoy the delightfully brisk air, than with a cocktail in hand? Recently opened V Piso is a welcome addition to the Casco rooftop bar scene. Perched luxuriously above Restaurante Tomillo, you could make a stopover here for Tapas and a tequila sunrise. 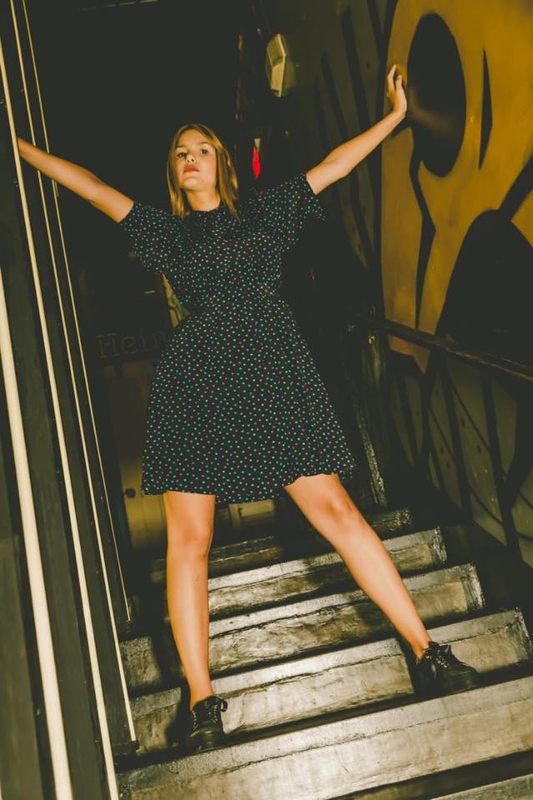 CasaCasco is a perfect blend of antique and avant-garde divided into 5 floors, where you can enjoy 3 fabulous restaurants, a Club-Disco and a Terrace (Rooftop) with a panoramic view of the city. 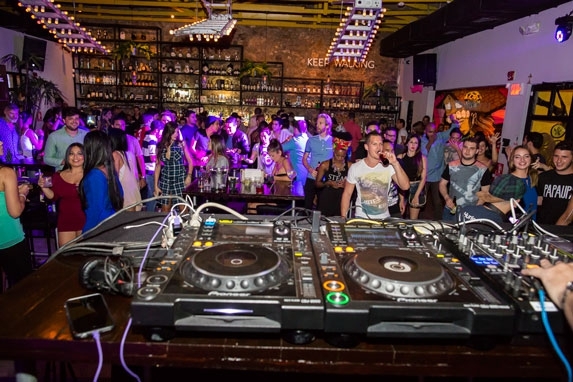 TANTALO HOTEL · CASCO VIEJO'S PREMIER BOUTIQUE HOTEL AND ROOFTOP BAR · MERGES ART, EXCEPTIONAL SERVICE, AND UNIQUE PROGRAMMING TO STIMULATE THE SENSES. One of the most outstanding places in La Concordia. Numen is located on the roof, where Panama City tells its own story. In Numen we offer a wide variety of cocktails, fusion tapas and a select menu of hookahs. We have fabulous bands to delight our customers with live music and thus give a magical touch the nights of Casco Viejo. Casco Viejo, Punta Pacifica, the Frank Gehry Biodiversity Museum, the Cathedral, the island of Taboga and Cerro Ancón are some of the most emblematic monuments that can be seen from the impressive 360 ° views offered by Numen Gastro Lounge. Without a doubt it is the perfect environment to relax and get lost in the impressive landscape. We give you the most cordial welcome to Bao Dai in Panama City. This unique restaurant offers spectacular atmosphere on its four levels and has an outdoor terrace, an exotic menu, incredible drinks and the best service in the city. OAK is an exclusive restaurant with its own essence and personality that features the successful cuisine of renowned international chef Avi Barak, owner of Rimonim Catering. His proposal intertwines both Mediterranean and Latin American techniques and flavours in a versatile and innovative fusion that seeks to combine ingredients from both worlds resulting from Chef Avi’s culinary background and cultural heritage, which for over 30 years has made the kitchen his life passion. The menu also includes vegan, vegetarian and gluten free alternatives, which adapt to the different health requirements. Intimo dedicates themselve to a kitchen of 'Local Produce' - where our menus demonstrate the diversity of the seasons that are found in our region. Food is delicious. We ordered a croquette with pork, then I ordered fish and chips and a brownie cookie. To accompany, local craft beer. Casa Escondida is definitely one of those places to escape the crowds, the outrageous restaurants, with bright lights and full of people. A place to relax and enjoy the small pleasures of life and, why not, dream a little bit with the San Francisco of yesterday. surroundings as a main source of inspiration and ingredients. He is also passionate about ancestral cooking techniques in modern day culinary applications. 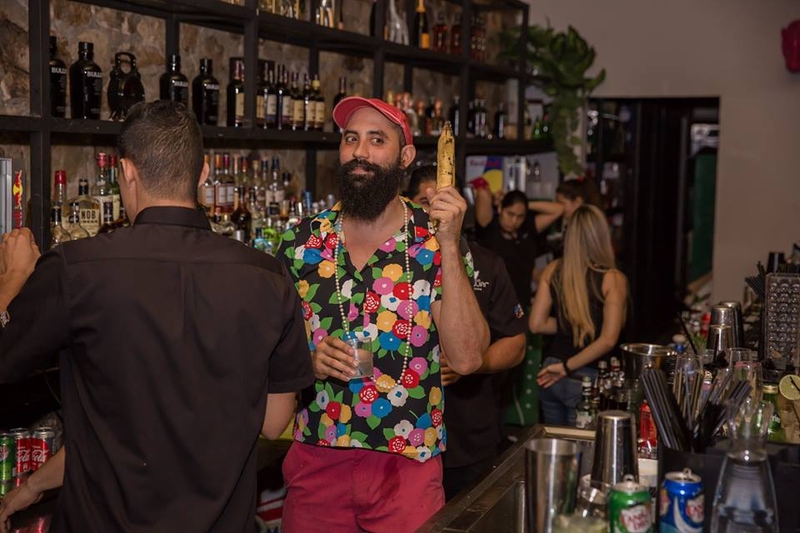 His experience ranges from being priave chef to the Prince of Liechtenstein to now owning his flag restaurant and New York Times reviewed, Panga in Playa Venao, Panama. Since the opening of Panga in 2016, Chef Morataya, quickly began to catch the atention of the region. His farm-to-table approach and unique style of cooking was what set him appart, catching the eye of many and allowing him to experiences different things, like being guest judge in two season of Top Chef Panama or being a guest International Chef at the Guatemala Food and Wine festival. Azafran is a gastronomic restaurant based on the envioronment that surrounds us where their chef based their dishes on the market kitchen. Philosophy where thedaily product defines our dishes, using local ingredients. In the name of malt, hops and the Belgian spirit, Santé. A perfect place for you to discover the true Belgian experience! La Fábrica is an authentic brewery and gastro bar whose originality lies in the craftsmanship of practically all its gastronomic offer, from the varied beers that supply the creative handmade siphons, to the bread that is baked daily with its own stamp to design a simple and entertaining menu where the original flavors and ingredients made at home are reflected in each of their dishes created to surprise palates. Hamburgueseria different, very good flavor, The atmosphere is very good and relaxed because you get to see how they prepare the hamburger and live the moment of preparation. This is one of the few meats that is succulent and very flavorful. 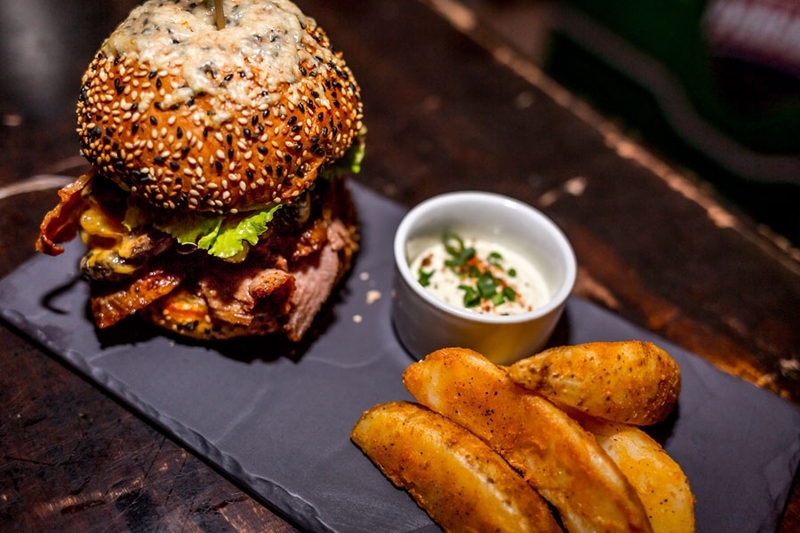 The bacon and the pastrami make a perfect combination with meat and the burger boom is chipotle sauce with garlic. Fast service and very friendly. El Ancla is a Restaurant located in Pedasi, Playa del Toro on the beach. Where you can enjoy various beach activities and the Pacific Ocean with all its nature. We offer food from the sea. Fish and seafood in season! The signature dish is the tuna steak burger. In November 2015 the restaurant LA MAESTRA opened on Avenida Pablo Arosemena, in the neighborhood of Punta Fogón. Since then success has accompanied them, and during the week and especially on weekends it is full. The place is something different in Las Tablas. It is a place of contemporary design. Its interior and exterior walls are decorated with murals, photographs, paintings, recreating different atmospheres both in the dining rooms, as in the bar and even in the children's dining room. Six bartenders from New York City, who have spent close to a decade working together, made a trip down to Panamá to visit a rum distillery and some sugarcane fields. Immediately, they were blown away by the rich history and culture of the country. Convinced of the opportunities present in the night-life scene, they pooled together their savings and, along with two, local Panamanian partners, began working on a concept for a cocktail bar that would bring their expertise in hospitality to the local market. Praia Fish and Drink is one of the few beach restaurants to have retained its original authenticity, embracing a laid-back and non-pretentious vibe with world-class traditional food, professional service, and incredible seaside panoramic views. The home of the procer has earned its reputacion because of its excellent offer of pints, powerful gastronomy and good music. El Republican offers you 17 taps dedicated to craft beers, mostly panamenas, as well as some homemade ones that are very good. El Republicano produces limited editions in collaboration with local brew. Since La Chiva Gourmet opened has transformed the "Foodtruck" concept in Panama by offering a modern and flavorful proposal, with an exclusive menu that features a variety of burgers, including: Porky, Taquillera, Pechugona and the famous Chomba, with delicious ingredients and the most original combinations that will simply amaze you. The Buenaventura Zoo is a wildlife rescue center that invites you to find out more about conservation and have a closer relationship with nature. It is a rehabilitation center for animals that, in turn, provides a learning experience about animals and their conservation for the whole family. JW Marriott Panama Golf & Beach Resort is a high end resort in a beautiful beach community with refined elegance, impeccable service and high level comfort. This accommodation is 11 minutes walk from the beach. This establishment is located in Panama. This exciting country is the bridge between north and south, the channel between east and west and the turning point between the past and the future. This property is 1 minute walk from the beach. This collection of eco-friendly wooden cabins is located on Panamá’s stunning Bocas del Toro Archipelago. Situated in the water, the cabins are built on stilts and feature a private balcony with a hammock.The cabins at Punta Caracol Acqua Lodge have palm roofs four-poster beds. Each one has a bathroom and uses electricity from solar panels. Finca Vela Lodge is situated in Bocas del Toro, 27 km from Buena Vista. Isla Colón is 20 km from the lodge. Free WiFi is available throughout the lodge.All units have a seating area. Towels are offered. This bed_and_breakfast is a 12-minute walk from the beach. Maroa Beach House offers bed and Breakfast in Bocas del Toro. The bed and Breakfast has sea views from a shared balconies. Free WiFi is available.There is a fully equipped shared kitchen. The rooms at Maroa Beach House have air conditioning and a wardrobe. SeaFood Restaurant located in the heart of Casco Antiguo they serve fresh fishing every day! Under rudimentary metal structures, open plan kitchen and industrial design, located in the middle of the sidewalks of Calle 12 Este, you can find the popular restaurant Lo Que Hay. This gastronomic solution serve food to thousands of Panamanians and tourists who visit the old town center Casco Antiguo of Panama. The menu here is written on a big board hanging on the wall. 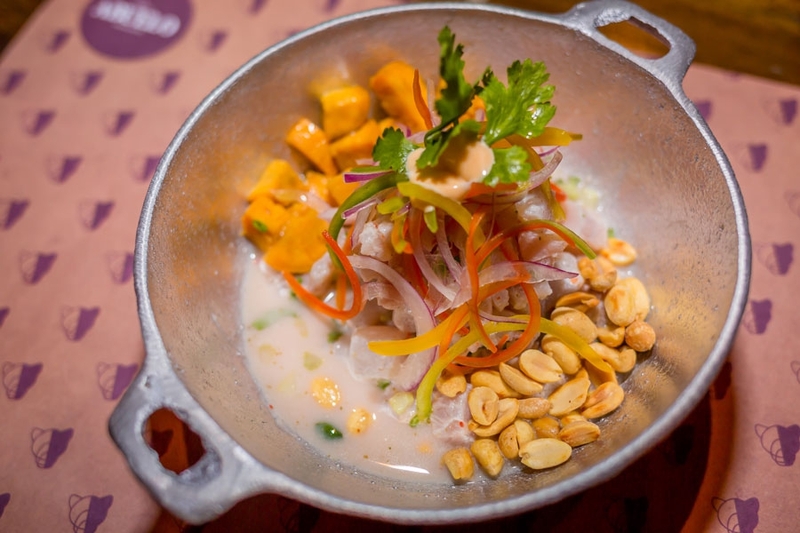 There are always around eight or nine different dishes to choose from, all inspired by Panamanian cuisine but with a twist that brings together the diversity of cultures and flavours which makes displace stands out by far from many others in Panama. The food here is prepared with a lot of love, in very casual ambient and relaxed atmosphere and all that at affordable price. 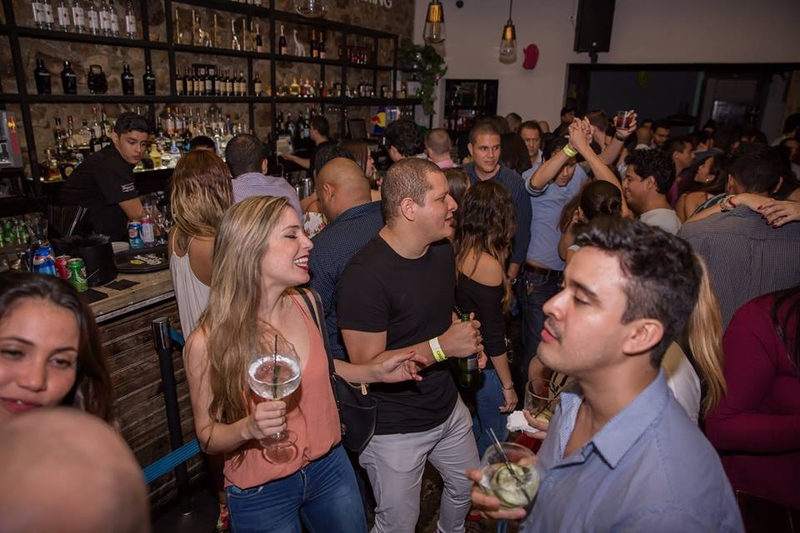 In Old Town is Tomillo Panama, a restaurant that stands out for its casual and romantic atmosphere, with a terrace that evokes slow times and that undoubtedly is accompanied by the best gastronomic experience in the city. 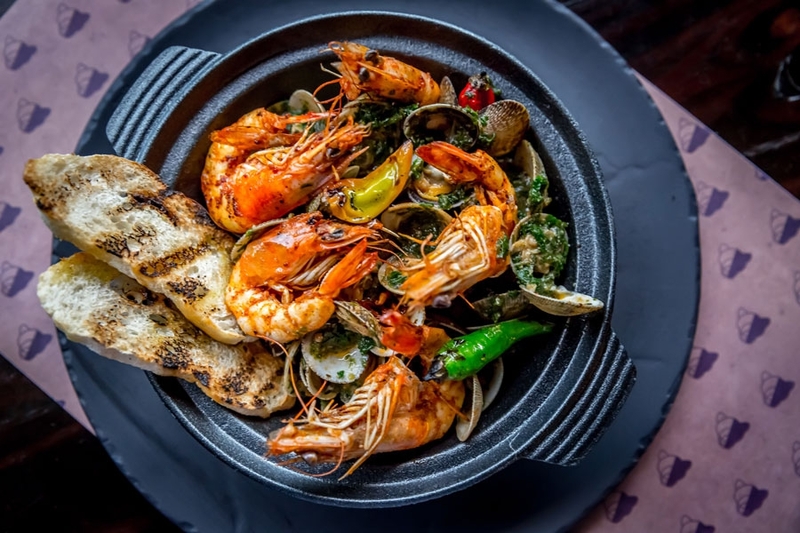 Under the tutelage of renowned Panamanian Chef Felipe Milanés, Tomillo Panamá has a cuisine inspired by purely national products, with a Caribbean and Central American influence under a concept of tapas-style dishes to share, which seeks to combine the flavors of the world. Tomillo concept is simple but delicious. There dishes are made to share with flavors from around the world. Relax, eat, drink, have fun and share with friends and family. The rest leave it in their hands. The Biological Market is a mini market specialized in organic and fresh products ideal for anyone who likes to lead a healthy and sustainable life. They are aware of the quality and origin of the products that are related to organic food, preferably organic. They also have an organic deli type cafeteria, with very delicious and healthy products, made with the products we sell in the store. Wellness, Health & Relaxation is the experience that customers will have when they enter intoTHE SPA at the 25 floor of the Bristol Tower. The Bristol Hotel commitment is to recover a complete state of wellness through a range of manual therapy, therapeutic and relaxation techniques. Offering an outdoor pool and spa centre, Central Hotel Panama is set in the historic centre of Panama City, 200 m from Presidential Palace. The hotel has a sauna and fitness centre, and guests can enjoy a meal at the restaurant. Private parking is available on site. Welcome, Enjoy in the peaceful of your home! Differents spaces are designed to make feel at home. A warm welcome and an authentic smile, a simple decoration and delicious food: Welcome to La Negra Tomasa! The outside is perfect for share with friends in warm nights. Feel the wind, feel the city.We also make our homemade desserts. Enjoy delightful flavors of Panama at Tejas Restaurant serving vibrant seafood dishes inspired by Latin American cuisine. Combining traditional recipes, innovative techniques and local ingredients, our chef's prepare truly unique creations. PIZZA PARTY, ROMANTIC DINNER OR CORPORATE EVENT? THEY TAKE CARE! They are a fairly small and flexible sailing school that designs activities for all ages, necessities and dreams. One of the smaller beaches of Contadora also carries the status of one of the most beautiful on the island. On land, the landscape of the Executive Beach is divided between rocks, enclosed vegetation, coconut palms and white sand. At sea, the water surpasses the common color and surprises with incredible shades between blue and green that confuse the head, and the vision, of the visitors. ..
't Bier Klooster is a café in the best Belgian style located in the heart of Casco Viejo. This authentic concept offers more than 50 bottles of imported beers from Belgium, a country where this precious liquid has been declared Intangible Heritage of Humanity. At the same time, they have the first draft system in Panama dedicated solely to dispense 220 liters of Belgian beers permanently connected. This cozy place gives the sensation of sitting in a cafe in the busy Grand-Place, where you can enjoy an original Belgian beer served in your own glass. The food is important when accompanying a good beer and the menu of 't Bier Klooster is characterized by offering authentic alternatives such as mussels with French fries served in three types of sauces that will surprise the palate, they are: Classic based of white wine; Pintao 'with red wine, tarragon and cream, and Lemongrass with lemon grass, Spanish chistorra, white wine and coconut milk that gives it its Panamanian touch. Additionally, they prepare the Meat Ball in pepperoni sauce, as well as the original Belgian waffle with vanilla ice cream and other surprises that will melt in your mouth. 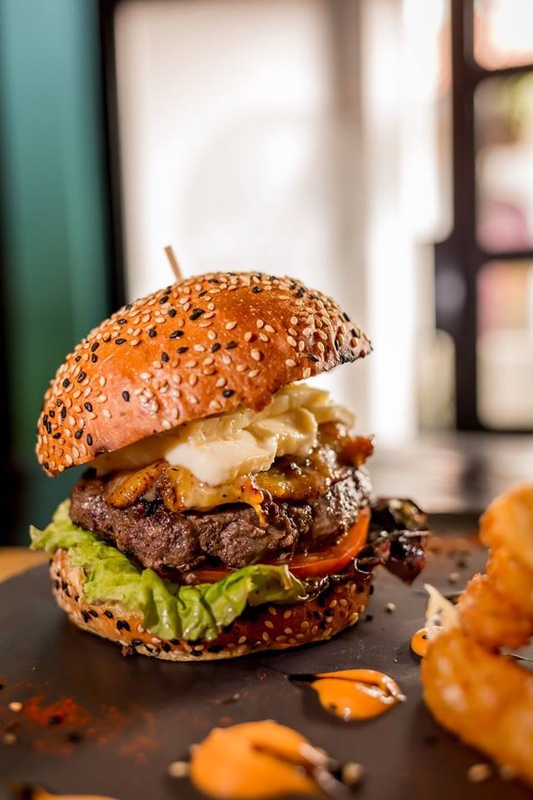 The original burger "La Machingun a.k.a LA RATATATATA" is among the best for its perfect combination of ingredients made from homemade special meat bathed in pepperoni sauce, fresh arugula, caramelized onion jam with truffle sauce and ripe banana barbecue. Cerveceria Maestra has always been focused on regional and unique products, thanks to which they can offer a note of freshness to their customers. Brewery breweries, in comparison to the most popular breweries, offer precision, unusual taste and huge diversity among themselves. For this reason, their range is wide and they try to make everyone find something for themselves or their loved ones. In Chillin you find a menu loaded with delicious dishes with multiple options: meat, poultry, seafood, hamburgers and for party people they have excellent promotions in beers, cocktails and drinks every day ... Come and pass it Chillin! 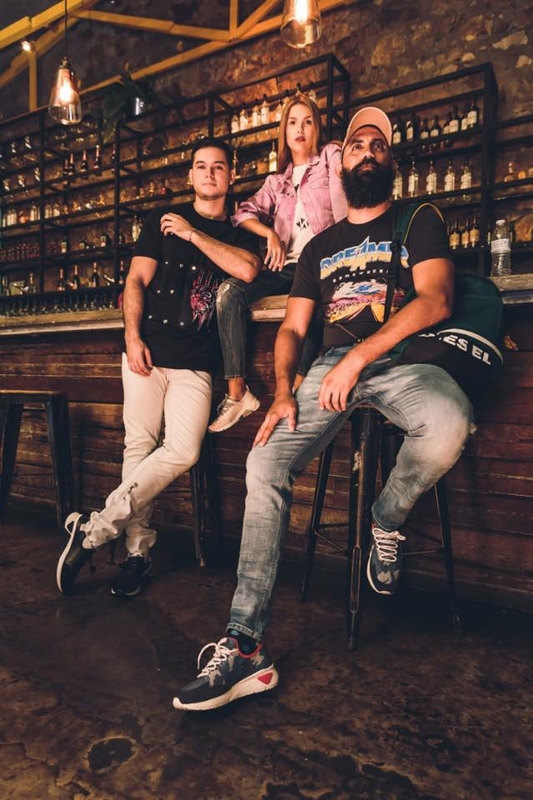 BREW STOP: The first "Craft Beer" Bar in Panama, with national distribution and direct representation of US brands such as Rogue Ales, Oskar Blues Abita Brewing Co., North Coast Brewery, Lost Coast Brewery, and ACE Ciders. Dainer 16 is the first restaurant with brunch menu all day. They serve breakfast at night or hamburgers by day to satisfy your desires of comfort food at any time. In addition, you can spend some time relaxing with your friends and enjoy our wide selection of national, artisanal and international beers. Geoecotur, was born as a dream in 2015 with the premise of providing an excellent service anywhere in the world with responsibility, reliability and security, with the primary objective of obtaining the satisfaction of travel customers. They are a group of nature lovers, they seek to teach about Panama in a responsible and sustainable way taking care of our resources and making visitors aware and admire the beauty of Panama. The Guna Yala islands measure a little more than 1 hectare with the natural foliage of coconut trees which contribute to its very tropical appearance. The cabins are made of white reed, rattan and thatched roofs which give a distinctive air of the Guna lifestyle. At an hour's drive from Panama City, you will arrive at Gatun Lake, part of the Panama Canal system, which houses the island of Barro Colorado, created by man. If you are looking for an educational and fascinating destination (ideal for a family day trip), this is the best you can find. This small town, which residents simply know as "El Valle", has long since trapped Panama's elite with fresh spring weather and natural attractions. It is two hours away by car from Panama City, and the last 45 minutes are on a winding route that exhibits spectacular landscapes. Thanks its geography Punta Chame offers its visitors some peculiar landscapes. It is a narrow and long peninsula with an ocean on both sides and endless white sand beaches. In addition to beautiful scenery offers privacy because few people come to Punta Chame even on weekends offers excellent privacy for those seeking tranquility and beaches without people. Isla Colon is the most populated island in the Bocas del Toro archipelago and the head of the Province of Bocas del Toro. Most hotels, restaurants, bars, tour operators, and businesses are located in Bocas Town on Isla Colon as well as the Bocas del Toro International Airport. Isla Colon at the embarkation point for most visitors who want to explore the other islands of Bocas del Toro. Clip-in and ascend up the stairway to the first platform. Stop, look and listen! Feel the rush of adrenaline and freedom of soaring through the air. Pass by trees that have been growing here for centuries; birds, monkeys and other exotic animals may curiously watch and welcome you to their treetop homes. Arriving by boat to the town of Bastimentos takes approximately 10 minutes from Isla Bocas. Then walk 30 minutes to Wizard Beach or Wizard Beach. The beach is ideal for those who practice surfing, on the beach it is also allowed to swim. The journey is accompanied by vendors of pipe water or other types of natural refreshment, for those who like to take a rest under the shade of the trees on the path to the beach. 10 minutes by boat from Isla Colon Bocas del Toro, is the town of Old Bank, Bastimentos. A Negroid population in which the dialect known as the "guari-guari", which is a mixture of English-French-Spanish, is still heard from the youngest to the oldest. It is also famous for its gastronomy, since you can get the traditional food of the region such as Rice & Beans with Coco, Bon, Bragada, Escabeche Fish, Rondown (fish soup); among others. Rocky formation in the middle of thesea that serves asa bird refuge It is the place of 3 place of the panamanian caribbean where the piquero pardo and rabijunco piquirrojo can be observed. When the night rises in volume CasaCasco opens the doors of their fabulous Club-Disco where the strength of the music marks the rhythm of the party, a club decorated with antiquity but illuminated with fun for all those who dare to level up. 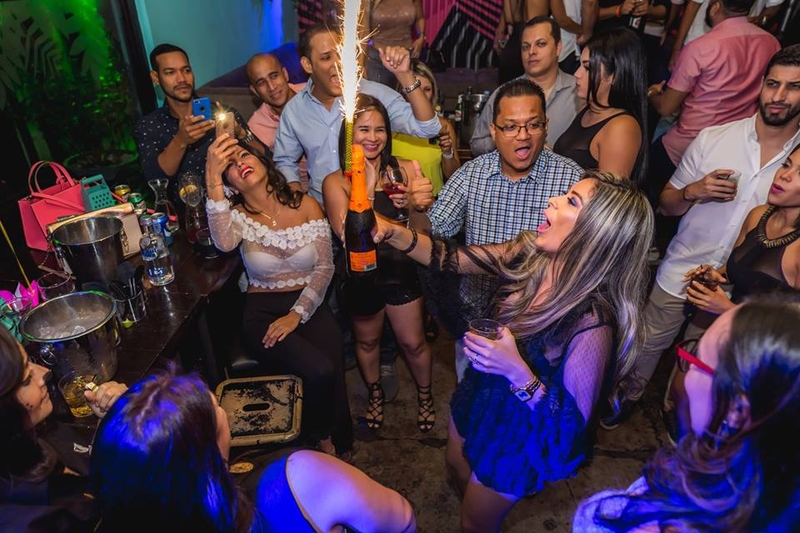 They wait for you at the Club-Disco of CasaCasco so you can enjoy fabulous nights. Ambient lighting, leather arm chairs and gold accented details radiate a warm, inviting atmosphere at Cava 15. With a impressive collection of wines, handcrafted cocktails and mouthwatering appetizers, our hotel lounge offers an intimate place to gather. Pizza Party, Romantic Dinner or Corporate event. Marula Restaurant offers a fusion cuisine, of author with Panamanian touch, mixing ingredients and flavors from around the world. You will find a risky gastronomic proposal, full of exotic flavors; in a unique avant-garde stage, designed to seduce the senses. 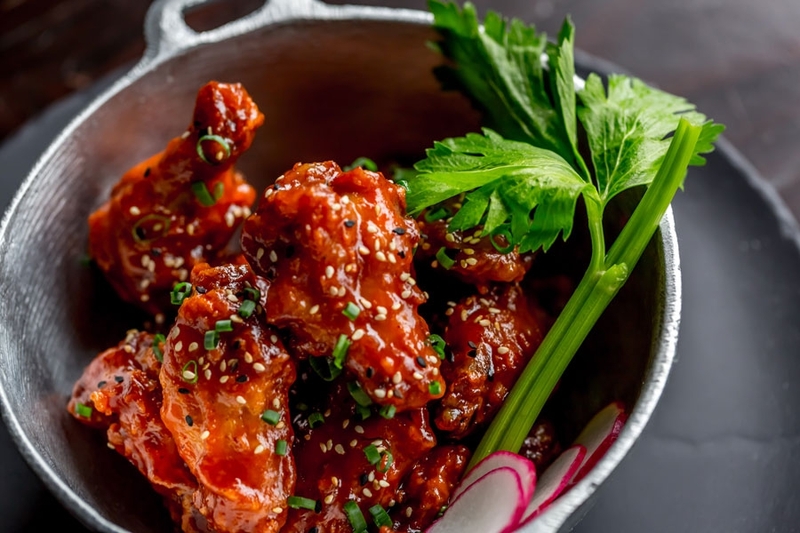 The menu has 27 dishes and each of them captures the pride, passion, details and flavors that she and the seven enterprising owners of the restaurant have designed to conquer the palate in every bite. El Cope National park, Panama was created in 1986, on the country’s Central Cordillera which is the watershed between the Panamanian Caribbean and the Pacific. It’s a forest reserve of rubber and nispero (Manilkara zapota) in the cloud forest of the center of the Isthmus. Accessible by road from the town of Penonome. The park has an administrative office, an information booth, a natural path, a ranger’s refuge and a point of control. El Cope Park is 180 kilometers from Panama City. Penonome Museum tries to capture life in pre-Columbian Panama party that archaeological studies based on ceramics and lithics establish three regions and the province of Coclé is in the central, which also include the Saints, Herrera, Veraguas and the West of Panama. It is the second highest jet in Panama and has water throughout the year. The District of Ola is one of the divisions that make up Cocle, in this district we find Los Chorros de Ola that are formed by several waterfalls. The images are a beauty! One of the groups that organize expeditions to the Chorros with the Club Excursionistas del Istmo We could find that from the community of Los Chorros to the last waterfall it is a road of almost 3 hours. An official declaration of guarantee for the welcome of the gastronomic proposal that combines The Vespa Ristorante & Cocktail Bar, and is to have the best pizza made according to the ancient Italian tradition. 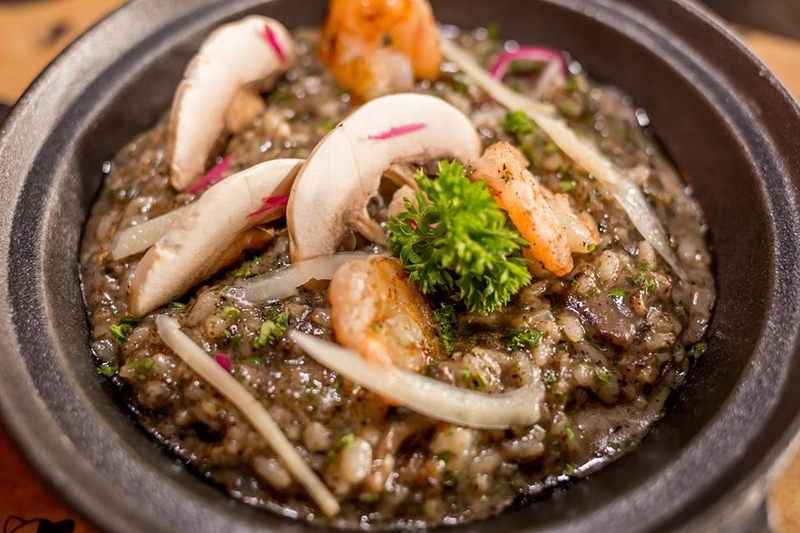 Located in the area of ​​Obarrio, they also offer delicious dishes of Mediterranean cuisine that are born from the hand of their amazing chef Piero and the whole team, who with a unique attention satisfy the most demanding palates of Panama. The atmosphere of the place reveals itself as a space for meeting and distraction for people, where the final touch is provided by its fun and cheerful atmosphere. To accompany your cooking options, La Vespa Ristorante & Cocktail Bar has an extensive wine list, prioritizing the best Italian wines, and complementing them with other denominations. The specialty here is Pizza from sophisticated and unique types.Cozy interiors and informal atmosphere will make you feel very homy. The friendly atmosphere is created here by the staff and all the people. Comfortable boxes with large screens guarantee the highest comfort of watching sports spectacles. 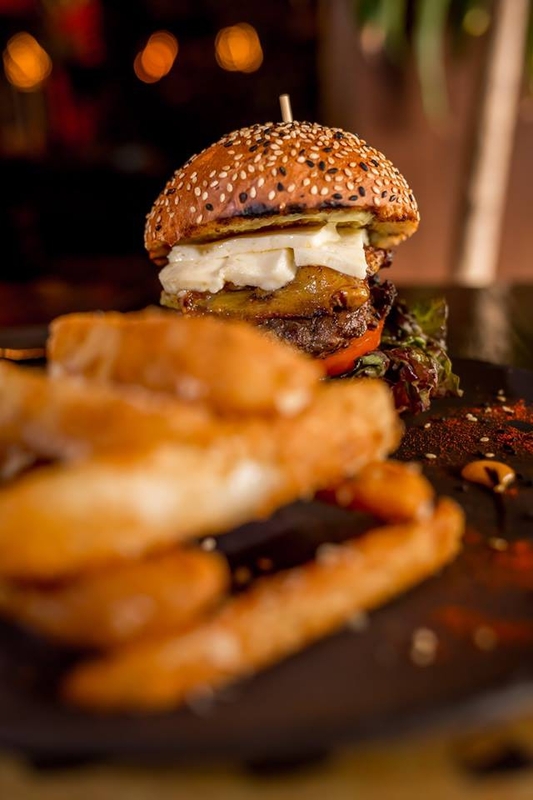 Their menu will surely appeal to the gourmets of Pizza, Burgers and other specialties. As a faithful and tasty representative of Italian cuisine, Vinoteca is an intense experience that is located in the Obarrio area. With four generations of excellence in Panama, the Ciniglio family decided to open a new restaurant concept dedicated to pairing: the perfect combination of wine and food. bination of wine and food. Assisi is a cutting-edge restaurant in which you will undertake a sensory exploration where the flavors reign with a comprehensive menu of all kinds of options that will not leave any palate disappointed. In our kitchen we combine the freshest local ingredients and the original recipes from Italy combined with innovative proposals of global cuisine. Welcome to the universe of brewjería. Casa bruja is a Panamanian craft brewery that was born in 2013 and is dedicated to create new and fresh potions for anyone who wants to be haunted. 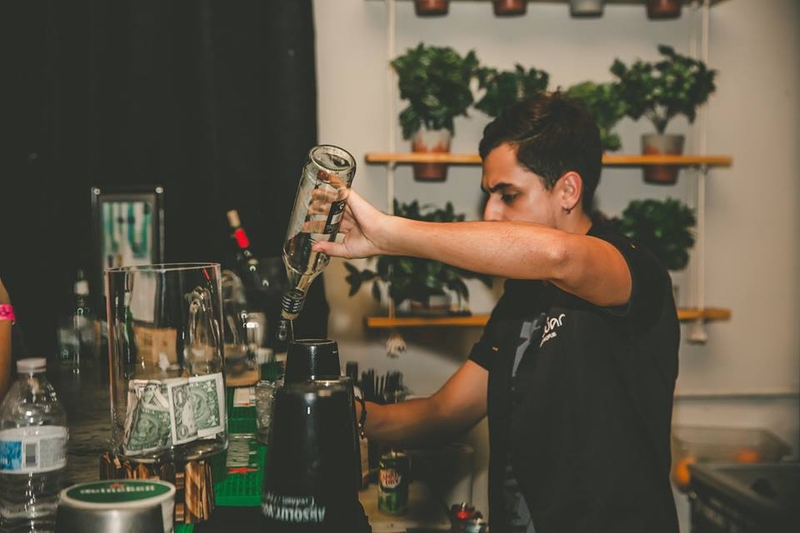 At CASA BRUJA you will find not only a quality beer, but people who are passionate about creating recipes that reinvent the palate of anyone looking for something different. Located beachfront on Playa Venao, Villa Marina Lodge offers an outdoor pool and an on-site restaurant. WiFi access is available throughout the lodge, free of charge for guests. A flat-screen satellite TV is offered in each room at the lodge. Air conditioning is included and certain rooms feature a view of the ocean. The en suite bathroom comes with a shower and bathtub. Guests of the Lodge Villa Marina can relax at the private beach area or in the palm tree-laden garden. Water sports facilities are available on site and guests can use the games room. Playa el Arenal is just 30 minutes’ drive from the lodge. Playa los Destiladeros is 35 km away. One of our top picks in Panama City.Offering a restaurant, Hilton Panama is located in Panama City. Rooms at Hilton Panama will provide you with a flat-screen TV, air conditioning and cable channels. Featuring a shower, private bathrooms also come with free toiletries. Some rooms have a sea view. At Hilton Panama you will find a 24-hour front desk. Other facilities offered include luggage storage. The hotel is 1.1 mi from Canal Museum of Panama, 1.1 mi from Presidential Palace and 1.9 mi from Metropolitan National Park. For demanding and modern travelers looking to spend their nights in a place that has it all, without having to travel long distances to enjoy the essence of Panama City, Wyndham Panama Albrook Mall awaits you, a world of experiences that mixes with comfort. Centrally in the business district in Panama City, The Waldorf Astoria Panama features a swimming pool, spa, gym and massages services. The accommodations offer modern-style décor, air conditioning, flat-screen cable TV, coffee maker and work desk. The bathrooms come with free toiletries, hairdryer and some with spa tub. 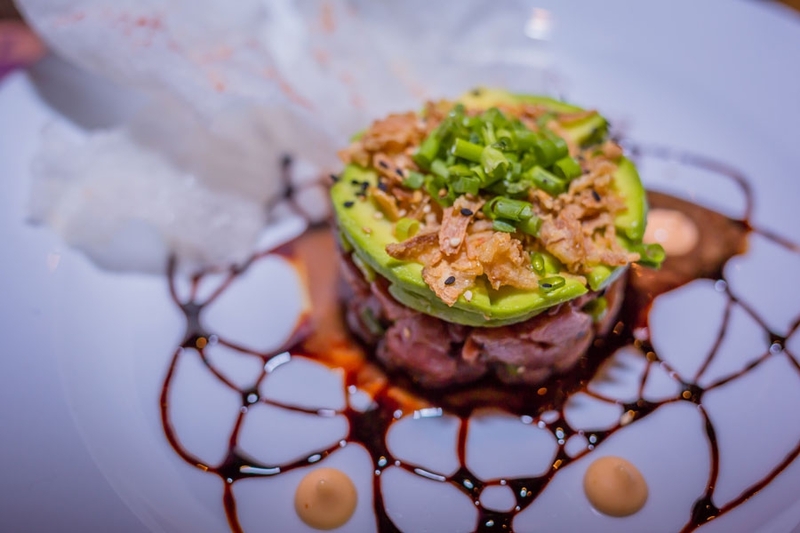 This hotel features 2 restaurants; the Brio Brasserie serves French and American food; and the Ginger Sushi Bar & Lounge is specialized in sushi. A terrace, a pool bar and The Peacock Alley is also available and serves cocktails. Located in Panama City, La Concordia - Boutique Hotel features a terrace and a bar. Featuring a 24-hour front desk, this property also provides guests with a restaurant. Free WiFi is at guests' disposal. W Panama is inspired by local art, fashion, culture and cuisine and offers 5-star accommodation in the financial district of Panama City. This property has 2 restaurants, 4 bars and an outdoor pool. All rooms have air conditioning, a flat-screen TV with cable channels, a coffee machine and a wardrobe. Each includes a private bathroom with a shower, toiletries and a hairdryer. Some rooms also have a balcony and others enjoy views of the city. In the mornings, breakfast is served, which includes both continental and American-style options. The hotel offers a solarium and a reception open 24 hours. In the immediate vicinity there is a wide variety of bars and restaurants on the lively street of Uruguay. The Bridge of the Americas is 6 km from the west of Panama, while the Metropolitan National Park is 2.6 km away. The Tocumen International Airport is 19 km away. Real foodies menu, you can not settle on just 2 dishes, they are all so good. Great ceviche fresh products, fusion flavors. Perfect atmosphere and very chill vibes, great music and awesome people. Hotel Riu Playa Blanca is located on the shore of Playa Blanca in Panama. Its exclusive service All Inclusive 24h and their complete facilities, offer a lot of activities, sports and entertainment to all its clients and making their stay a wonderful vacation with the family and friends. An unforgettable experience that the visitor can have during his aquatic tour along the coasts of the Colonian Caribbean, is to go through the "tunnel of love" located in the area of ​​Cacique. The same is called by the locals because it is made up of mangrove trees and can be considered romantic for couples in love or ideal for those who wish to contemplate the flora and fauna of this coastal area. Undoubtedly it is an ecological boat tour that will captivate the visitor and wish to repeat it again. The city of Colon, in Panama, is located in front of the Caribbean Sea. Due to its history and strategic location, this city should be one of the most important in all of America. Its population is composed mostly of Afro-descendants who were taken there to work in the construction of the interoceanic road. Antillean workers who emigrated in search of work in the Canal were also added to this population. On the same road to El Fuerte San Lorenzo (map) is this beautiful beach with crystal clear waters in the form of a natural pool. It is bordered by mangroves and a lot of jungle in the San Lorenzo National Park, where a lot of fauna and diverse flora live. We recommend to anyone who wants to know Costa Abajo de Colón, to go to this paradise; It is very rewarding to go through the Gatún locks, meet Sherman, Shelter Bay Marina, located in Bahía Limón, anchorage area for yachts and sailboats of foreigners visiting Panama that has a restaurant, bar, bookshop, showers, laundry, internet, cleaning of boats and other facilities. You can stay for a while in the San Lorenzo fort and then take a good swim in the waters of Playa Tortuguilla, with calm waters and turquoise, with some reef shores perfect for snorkeling. You have to go through Anam and pay two dollars per person, which includes visiting the fort and of course the beach, which is inside the park. Just before reaching the fort, on the right hand side there is a yellow arrow that indicates the entrance to this beach. The street is dirt but there is no major problem with sedan cars, it is about 10 minutes on the street until you see the beach, you can also take the initiative to walk the street until you reach the beach, which can not take more than 30 minutes and so you can enjoy the wonders of this tropical forest with its characteristic animals, the red mangrove with its fulcrum roots that have a transcendental role in this ecosystem because they constitute the temporary habitat of various animal species associated with it. It was through this river that the pirate Henry Morgan arrived in the city of Panama "La Vieja" to loot it. To reach it, it is necessary to pass over the Gatun locks and enter Fuerte Sherman, a military exbase, surrounded by a thick jungle rich in species diversity. It is an ideal place for bird watching. The Fuerte is located on the right bank of the Chagres River and the entrance by land, from the town of Chagres, is done by means of a drawbridge that was over a pit about six meters deep. Food is delicious. We ordered a croquette with beef, then I ordered fish and chips and a Moka Cookie. To accompany, local craft beer. It is a little elaborate cuisine, which respects and puts into value the flavors of the excellent raw material they handle. The masterful cooking. Good wine list, excellent service, attentive, friendly and professional. Subtle elaborate decoration and with many small details very comfortable and pleasant. In addition, it has a terrace. Gentile Cafe Gourmet, is the ideal place to enjoy a great variety of international dishes, prepared with the highest quality standards, prepared in a gourmet style with the differentiating touch of its Chef Glenda Gentile, who takes care of every detail to highlight the most delicious flavors. exotic for the most select palates. Las Tablas Panama Tours don´t do cookie-cutter package trips. Las Tablas Panama Tours vacation packages are very unique, multigenerational, spiritual and educational experiences. Las Tablas Panama Tours offer the chance to step outside of one´s everyday life to relax and rejuvenate the spirit. All while socializing and carving out some time for adventure. ocated beachfront on Playa Venao, Villa Marina Lodge offers an outdoor pool and an on-site restaurant. WiFi access is available throughout the lodge, free of charge for guests. A flat-screen satellite TV is offered in each room at the lodge. Air conditioning is included and certain rooms feature a view of the ocean. The en suite bathroom comes with a shower and bathtub. Experience World-class Service at Pedasí Ocean Properties. Featuring free WiFi and air conditioning, Pedasí Ocean Properties is located in Pedasí Town, Destiladeros Beach. Las Tablas is 27 mi away. Free private parking is available on site. Ocean Properties by Villa Camilla offers lofts and suites. The accommodations features a seating and dining area. Some units feature a terrace and/or balcony with sea or pool views. A microwave and toaster are also featured, as well as a coffee machine. There is also a kitchen in some of the units, equipped with an oven. There is a private bathroom with a bath or shower in each unit. Towels are provided. We are a sustainable lodging facility located in the township of Santo Domingo, within the District of Las Tablas, in the Province of Los Santos, land of colonial and immaterial heritage. Here at Hostal Familiar La Casita de los Kimmell/Hostel Kimmell, in partnership with our sister company Las Tablas Panama Tours, we have created a new sustainable culture that engages our own family, our staff, guests, visitors, suppliers, service providers and the community, while maintaining a sustainable services and benefiting the local community. For our businesses, tourism sustainability is a priority, adhering to sustainable guidelines bringing positive results to it, our own way of life and benefits to the environment and our communities. We continuously invest in sustainable solutions in the long term, adhering to sustainable development. The status of our role as a socially responsible agent is a priority, and we hope to make the change curve faster, reducing the environmental consequences. We know that the practices we have implemented in the last years will not see results in the short term and we know we will have to wait to see them, but our expectation is to see positive changes, especially in bio-environmental issues, cultural diversity and consumerism. One of our challenges is that our communities need to be trained to understand the importance and impact of sustainable practices. And it takes time. That is why we want our guests and visitors to feel inspired and informed, to know this side of Panama, and that we are much more than just a Canal. We recognize that the biodiversity of the country and our province and the authenticity of its people, its kindness and hospitality, and its intangible and oral heritage as some of our main strengths. We are continuously working to expand our products with new activities and initiatives, while also drawing attention to the many cultural and gastronomic experiences the country also has to offer tourists. Hotels in Los Santos, Panama. Located in the quiet and exclusive Los Destiladeros, close to the most beautiful beaches in the area. This is a perfect place to relax and enjoy the beautiful nature of Panama. ROOMS & RATES Each room is a journey! They have furnished every suite differently, giving them a unique style inspired from various countries. Look at this section to discover our themed rooms. SHARED KITCHEN They provide guest with a fully equipped kitchen, to enjoy even more the social area. Outside you willl find a bbq for your swimming pool party! SWIMMING POOL Nothing is so regenerating as having a coconut drink combined with good music by our swimming pool. Just relax and enjoy tropical lifestyle. In addition, the rating of this accommodation is one of the best in Jobal. Customers like it more than other accommodations in the area. Couples love the location - they have put an 8.3 for trips of two people. This accommodation also has a very good score for the best value for money in Jobal. Clients get more out of their money compared to other accommodations in the same city. Beach Break Surf Camp located in PLAYA VENAO is OWNED and OPERATED by lifelong SURFERS who love to share their passion for the WAVES with others. It is our mission to provide UNFORGETTABLE experiences to our guests. Services offered include Hotel, Surf Camp, Brazilian Jiu Jitsu and Fitness Center and PIzza Gavilan (our onsite restaurant). Inspired in A Clock Work Orange movie, this underground nightclub/Bar has a lot to offer. Being the only underground bar in casco viejo you can come experience the unique fresh fruit authors cocktails, or its variety of beers all for a normal reasonable price ment to welcome locals as much astourists. If you stay long enough you will see this chick coool bar turn into the best night club in town. The Fish Market opened in Panama 8 years ago, becoming immediately a place you could not stop trying. This restaurant positioned itself firmly in the best lists of restaurants in the city and has been named in different international media including Forbes magazine as one of the best places to go downtown America. Since then, The Fish Market has reinvented itself by taking the experience of eating fish and seafood to another level, always maintaining the consistency of the presence and quality of its product. In a casual and relaxed atmosphere but with a focus on the complete experience and satisfactory from their diners. Azul Poll Bar & Grill Restaurant is located on the 13th floor of the newly branded hotel JW Marriott Panama in Punta Pacifica, offering not only one of the most amazing views of Panama Bay and Pacific Ocean to relax by the pool, but also a charming menu that features some lighter healthy options and a little bit of everything to suit the customers’ needs with dishes and local products. This concept was created with the aim of delighting the palate of most demanding guest thought culinary proposal that goes beyond simple flavours with modern touches of international cuisine under the tutelage of experienced Executive Chef. In summary, Azul Pool Bar & Grill Restaurant offers a complete experience, where an incredible gastronomy goes hand in hand with a unique open-air ambience and spectacular views of the bay to create an unforgettable experience that will make you come back for more. Panama-Tourism recommends: Visiting the renewed Calzada de Amador or Causeway, is one of the main attractions of Panama today, built during the year 1,913 with the material extracted from the construction of the Panama Canal (Culebra Cut). Today, it is the preferred place for recreation (bicycle, walking, skating and others) and outdoor entertainment. 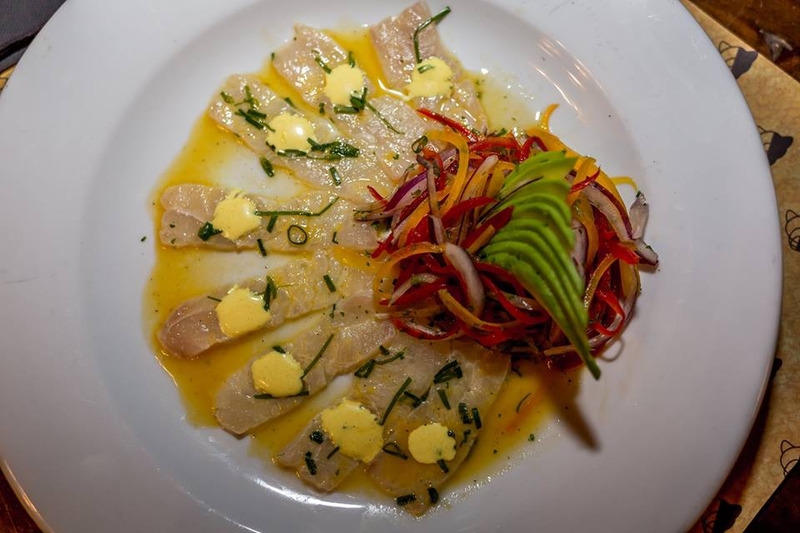 Within an upscale yet cozy atmosphere, Mestizo's menu fuses modern Panamanian gourmet cuisine with Mediterranean touches. Mestizo, meaning mix of Indian, European and African, offers these cultural influences mixed with international flavors. Playa Morrillo, a semi deserted beach located in the province of Veraguas, a little off the map, in fact it is not on the map. This beach is for the more adventurous, although it has accommodations and road, it is a little hidden. This beach is a special destination for surfers of all categories because it offers a wave that at its best is a spectacular tube, apart from it is even a Panamanian secret spot. The tropical humid forest predominates, there are also pastures, savannahs, ciénegas and secondary vegetation. In the Gulf, the mangrove forest predominates, with different representative species such as red mangrove, black mangrove and white mangrove. The Wetland of International Importance Golfo de Montijo represents an important habitat for migratory birds such as passage and nesting. A small island off the northeastern coast of Isla Coiba named Granito de Oro has emerged as one of the most popular stops for visitors interested in snorkeling the abundant waters of Coiba National Park and picnicking on one of the most pristine beaches in the world. Because of the location within the National Park a future commercial development has to comply with strict environmental regulations; minimal logging, zero contamination, only half of the island can be developed, the remainder needs to remain intact. Surrounded by a paradise of greenery and turquoise waters. This is how the days go by in this paradise where tranquility is breathed. Isla Cebaco offers a phenomenal setting for diving, snorkeling, sport fishing and other water sports. On the northeast side of the park we find Isla Canales de Afuera, approximately 16 miles from Isla Coiba, has several sisters Isla Canales Afuerita and Canales de Tierra.